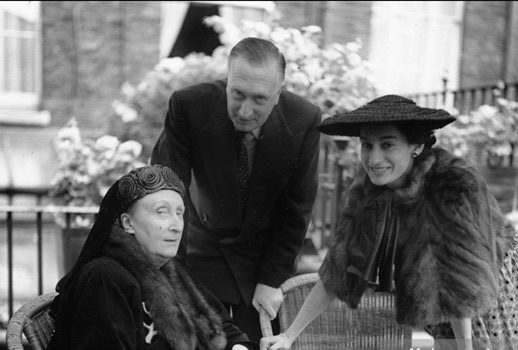 The summer of 2018 will be memorable for several reasons, but two of the ones near the top of the list are my finally watching Downton Abbey and my discovery of William Walton and Edith Sitwell’s Façade: An Entertainment (through Chris Corwin’s indispensable Trove Thursday podcast). That I only just now came upon the both of these devilish and delightful pieces will certainly surprise those who know me well. 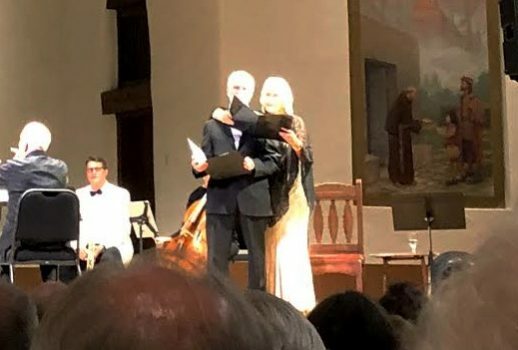 To that end, I was overjoyed by the coincidence that Santa Fe Chamber Music Festival would be presenting Façade on a program with Mozart and Fauré as one of its offerings the one summer that I am in Santa Fe. And though Façade might be hard to pair with on a program, the results proved both intentionally and unintentionally entertaining and, in accord with Sitwell and Santa Fe itself, authentically eccentric. Sitwell’s tongue-twisting poetry flows so distinctively over Walton’s varied, energetic orchestrations (played here by an ensemble of 12) in a way that feels so charmingly English and so warmly bizarre you can’t help but imagine Maggie Smith as the Dowager Countess of Grantham tapping her cane throughout, only to proclaim something like “it’s certainly a better racket than the ones at Wimbledon” at its conclusion. The premiere in 1923 may have bothered Nöel Coward, but we can now appreciate its period flavor, the agility it requires of its reciters, and its score which quotes scads of familiar English tunes and is just jolly good. The forces SFCMF assembled in the cozy, Pueblo-revival style St. Francis Auditorium at the New Mexico Museum of Art proved all up to the task of bringing the piece to life. And despite some of the occasional lapses in articulation, a necessary element included to match Sitwell’s rigorous rhymes, Lawrence Foster’s conducting proved subtle yet dynamic enough to differentiate the settings with swells of sound flowing into sinuous instrumental solos. Notably, Christopher Stingle juggled mutes and delivered the Fanfare with clarion accuracy and Todd Levy and Eric Lau provided a welcome respite from the texts’ choppy patter with suede-smooth playing on the clarinet and alto-sax. The reciters brought in for the evening proved successful complements. John Rubinstein (who originated the title role in Pippin) tended towards a more monotonous reading but gave his selections a narrative cohesion that made the poems, which are too dense to be analyzed in a concert hall but more than simply nonsensical, uniquely clear and understandable. Conversely, soprano Lucy Shelton’s endlessly varied inflections, coloristic capabilities, and rhythmic precision showed the hallmarks of a former singer. And though plosives in unexpected places seemed the most used innovation in her toolkit, she nevertheless evoked all the other sounds we touched on in my one semester of Linguistics. And though most of the pieces elicited a polite chuckle at their conclusion, the funniest moment of the evening came halfway through “Popular Song” when, responding to static on the speaker for her microphone in an honest-to-God diva moment, Shelton brought the performance to a halt, waited for a fix, resumed, and stopped again when the static came back. After another lengthy pause, she resumed on the third try, reciting not into her microphone but, instead, contorting herself about Rubinstein and speaking into the microphone on his cheek for the remainder of the performance (see the above photo). Such teamwork had been foreshadowed earlier in their jointly-delivered “By the Lake,” the best poem of the evening. The first half of the program included Mozart’s Piano Trio No. 6 in G Major which displayed pianist Simon Crawford-Phillip’s weighty touch but unerring sense of line and Kajsa William-Olsson’s alternation between the deliciously articulated lines and graceful accompaniment in the opening Allegro in which the cello almost fills an obbligato role. Only Harvey De Souza on the violin was more skittery and less articulate, though the final Allegretto, which sees the main theme passed cleverly about the instruments, was a picture of cohesion. In Fauré’s Piano Quartet No. 1 in C minor, Alan Gilbert on first violin (so that’s what he’s been up to!) showed in his playing what might have challenged him as a conductor at the Philharmonic; it’s technically admirable and carefully studied, but in that, it remains thoroughly earthbound. His tendencies as an affectionate custodian of the music more than an interpreter may have constrained the first movement (Allegro molto moderato), but it allowed for long lines and jaunty pizzicati in the tarantella-lite second movement scherzo and positively silken textures in the fourth movement, Allegro molto. Crawford-Philipps returned on piano to provide twinkling accompaniment and Manabu Suzuki and Eric Kim rounded out the quartet on viola and cello.